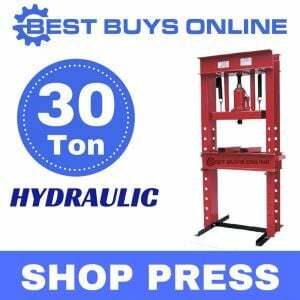 This heavy duty shop press has a capacity of 12 Ton and comes with a pressure guage, which allows you to keep track and produce consistent results on your jobs. 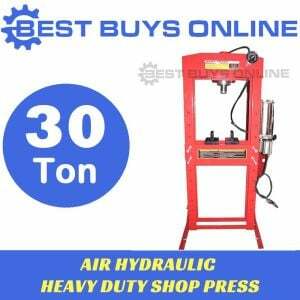 It is a must-have equipment for automotive repair or DIY metalworking. 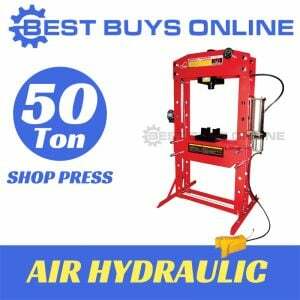 From pressing bearings, removing and installing bushings, bearings, gears, ball joints, U-joints and roll pins to straightening bent stuff, even custom-bending metal... this 12 Ton Air Hydraulic shop press offers a lot more precision and improves your efficiency. 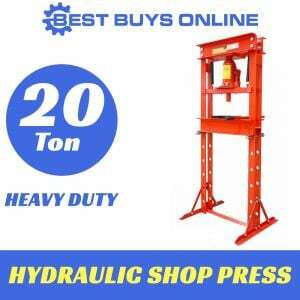 DURABLE: This 12 Ton Heavy Duty Air Hydraulic Shop Press has been designed with heavy duty frame and quality steel constructions that ensure maximum strength, durability and precision. 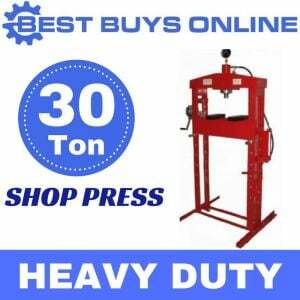 RELIABLE - Smooth & Safe operation: this 12 Ton Press is the perfect machine to properly execute your mechanical pressing tasks. 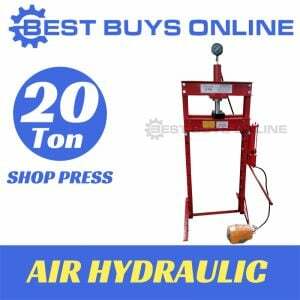 It comes with a gauge positioned so the operator can safely monitor pressing force being applied. 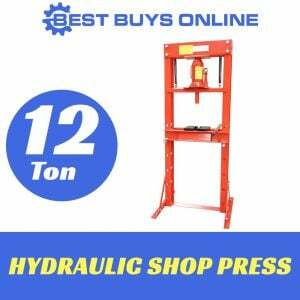 Designed to get your task done easily, it has the foot pedal with cover for safety and easier operation. 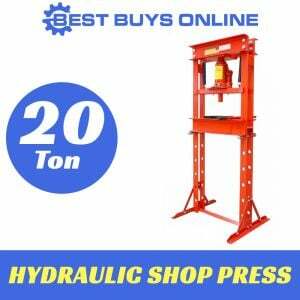 VERSATILITY: Designed to reduce labour and improve efficiency, this shop press can be operated manually or by air hydraulic and assisted with foot control valve. Last but not least, it comes with multi-position bed for work height adjustment. Working Range: 0mm - 970mm.